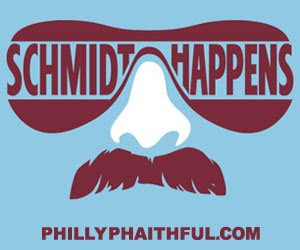 I'm Just Saying, Philly: Philadelphia Phillies Key No. 5: Which Brad Lidge Shows Up? Philadelphia Phillies Key No. 5: Which Brad Lidge Shows Up? Rarely does a player experience such extremes from one year to the next, but Phillies closer Brad Lidge has lived that since coming to the team in a trade two years ago. 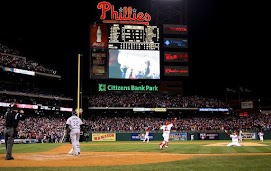 In 2008, it was a year of perfection that culminated with teammates jubilantly piling on him when he recorded a strikeout to secure the Phillies second World Series championship. The journey through the following season moved to the opposite end of the spectrum with a dismal season that landed him on the surgeon's table in the off-season. Ruben Amaro and the Phillies organization have assembled a marvelous group of everyday players and a solid starting rotation for the 2010 season. As detailed previously, the potential chink in the armor appears to be the bullpen. And, the most important component of any bullpen is it's closer. Considering Lidge's body of work last season and his two off-season surgeries, there is little argument that the teams biggest question mark and greatest risk point concerns the reliever's ability to bounce back this year. A 7.21 ERA and 11 blown saves will tend to arouse anxieties throughout the clubhouse, media and fanbase. The hope is that the medical procedures to repair damage in Lidge's knee and elbow will go a long way towards bringing back the 2008 "Lights Out" version of the player. At this stage, with spring training winding down, there is little evidence to acquiesce concerns about the team's closer. Lidge is still in a rehabbing mode and will break camp without making an appearance in any grapefruit league games. Yesterday, he threw 25 pitches off the mound to live hitters, but is still a considerable distance from being able to participate in real game action. His fastball topped out at a pedestrian 89 mph, approximately 6 mph below his normal velocity. All pitchers need to build up arm strength in spring training and early in the regular season; however, Lidge has the added hurdle of having been totally shut down throughout the winter. Current estimates for Lidge's return to the active roster is mid-April if everything goes off like clockwork, but it is very conceivable that the date could slip towards May. Last season, the Phillies closer struggled with his command all season long. He was wild in and out of the strike zone -- and often was forced to groove a straight fastball because he was behind in the count. In the Phillies championship season, Lidge achieved a great deal of success by working backwards. Simply put, he was able to throw his devastating slider for strikes in fastball counts which led to an abundance of futile swings. A return to form will surely require much better command of both his fastball and slider. The prevailing sentiment amongst pitching coach Rich Dubee, manager Charlie Manuel and the pitcher himself is that his mechanics went awry due to the pain and weakness in his knee and elbow. Although much more subtle, another contributing factor to the pitcher's struggles last season related to his inability to hold runners on. Essentially singles and walks turned into doubles and triples by virtue of Lidge's almost total lack of attention towards base runners. This meant that opponents were consistently in scoring position almost every time he entered the game. Besides ramping up the drama, this is surely not a formula to be a successful closer. This weakness has been recognized by the club and has made it an area of focus this spring. It is doubtful that the pitcher will suddenly develop even a good pick off move or much quicker delivery to home, but it is essential that he significantly improves from where he was a year ago. In addition to the pitcher's physical health, Lidge's confidence sagged significantly throughout last season. The air of dominance that propelled him to record 48 saves in as many attempts in 2008 was often noticeably missing when he toed the rubber in 2009. As anyone from a casual observer to a sports psychologist will attest, confidence is a key element to attaining success in any sport. Of course, this is especially true for a major-league pitcher that carries the weight of his team on his shoulders through the pressure packed final moments of a game. Considering the importance of having Lidge mentally right, it is probably advisable to delay his return to action until he is physically ready to successfully compete against major league hitters. Bringing him back too soon with mediocre stuff could very well lead to poor outings and a further damaged psyche. Waiting too long would seem far superior to jumping the gun. An accumulation of successful outings upon his return will be invaluable towards Lidge regaining his "mojo." The reliever's large remaining contract gave Amaro little flexibility to do anything other than hand the closer job back to Lidge for the 2010 season and hope for the best. That notwithstanding, though, the fortunes of the Philadelphia Phillies are largely riding on the back of the pitcher who triumphantly dropped to his knees to close the 2008 World Series. The team is universally recognized as a juggernaut throughout the baseball world, but it is no secret that this is the potential Achilles heel. Needless to say, all eyes will be keenly focused on Lidge when he rejoins the club and Charlie summons him from the pen. The butterflies that the closer will have in the pit of his stomach will likely be shared by everyone else around him. Fans and the team know very well that a return to glory in 2010 is largely dependent upon a return to glory for Lidge.